Sometimes the games which appeal to us the most are the ones which keep things simple. After the past couple of weeks where I had been role playing and puzzle solving, I decided to turn my attention to something a bit more basic. The XenoRaptor game was just what my tired brain wanted. 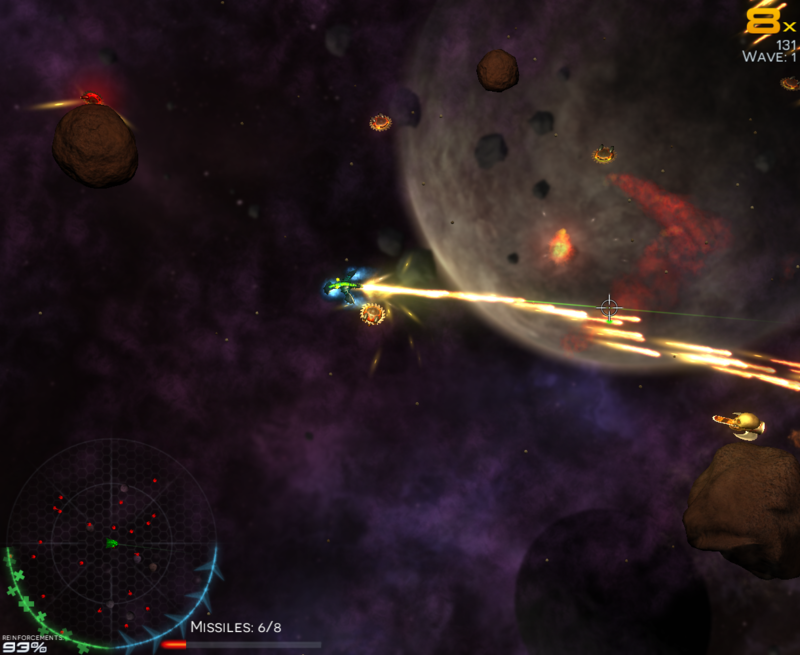 XenoRaptor is a 2-D acrade-style space shooter. It takes me back to the space themed shooters of the 80s and 90s where we are given a spaceship and simply turned loose on a giant swarm of baddies. XenoRaptor starts us off with a ship in the middle of space and a few simple controls. We can move in four directions (like a helicopter) and we have two weapons we can fire. In the lower-left corner of the screen is a radar display where we can see the multitude of AI-controlled enemies coming for us. XenoRaptor is faced paced, but features a pretty gentle difficulty curve. We begin with a small wave of weak baddies and slowly work our way up to waves of faster, more powerful enemies. The foes get stronger, their guns get more powerful and the sky is soon full of weapons firing in all directions. I found floating asteroids can act either as obstacles or as cover, giving us something to hide behind. In short, XenoRaptor is a great, modern take on an old idea. It present fresh content and a pleasant feel. It’s a game where the brain can disengage and the adrenaline can pump. 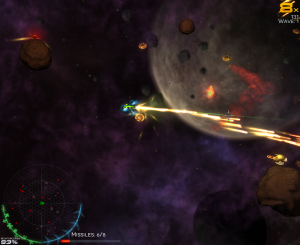 The game is lots of good fun and a must-try for fans of classic 2-D space shooters.